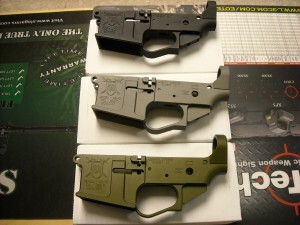 We just received a shipment of Quentin Defense stripped lowers. These are more robust than the regular stripped lowers and we have them in Gray, Green, and Black. Hey just found your website,I’m very impressed with the quentin defense lowers, I’m currently building a mk12, and I’m looking for a machined receiver, My question is how much are they going for?, And will they fit a vltor upper, without having to do some custom fitting, had to do it with my last build, let me know rather way, thanks bud!